We like to surround ourselves with friends, pets, fresh air, and sunshine, but have you ever considered the benefits of plants? According to some new research, living in the midst of healthy vegetation has proven to significantly extend one’s life expectancy. Research coming directly out of the Harvard T.H. Chan School of Public Health as well as the Brigham and Women’s Hospital has analyzed the results of an eight-year-long study that specifically examined a potential link in place between thriving vegetation and an extended lifespan. According to the study, “Women in the U.S. who live in homes surrounded by more vegetation appear to have significantly lower mortality rates than those who live in areas with less vegetation” Essentially, women who live in greener surroundings have clearly been found with better mental health and mortality rates 12% lower than those living in homes without plants, in areas void of vegetation”. How Does Green Impact Health? This link found between mortality rate and the number of green plants is based on several different research-backed components. Those who surround themselves with plants clearly demonstrate a much lower level of depression. Additionally, those who own plants or live near them actually have “increased opportunities for social engagement, higher levels of physical activity and reduced exposure to air pollution”. The best thing about this research is that it was completed on such a large scale. Despite it being one of the very first nationwide studies on the link between health and plants, researchers carefully examined crucial data gathered from 108,630 women over a period of eight years between 2000 and 2008. According to one of the researchers, Peter James, “We were surprised to observe such strong associations between increased exposure to greenness and lower mortality rates. We were even more surprised to find evidence that a large proportion of the apparent benefit from high levels of vegetation seems to be connected with improved mental health”. So, while some of us live in the country and are naturally blessed, others live in the city that is especially short of vegetation. 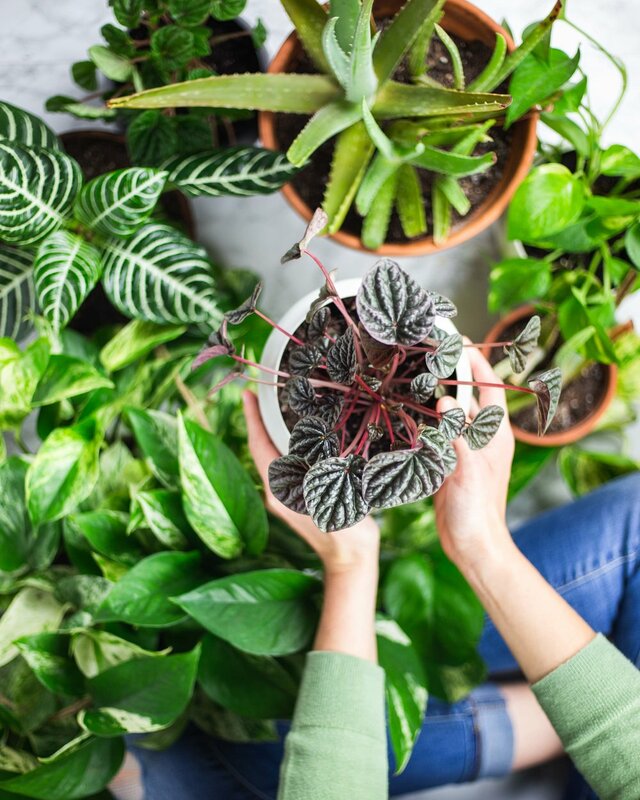 Thankfully, even if the great outdoors surrounding your home cannot provide a generous enough supply of greenery, you can always supply your own by decorating with houseplants! What Are The Best Houseplants To Buy? Some of us are neither blessed to live in the country or with a green thumb. However, there are plenty of perky plants that take no skill whatsoever to maintain! According to NASA, Boston ferns, spider plants, peace lily, and English ivy are some of the best air-purifying houseplants, amongst a good deal of others that NASA explains in a demographic. So, if you’re looking to get more green in your life, or you’re hoping to add on a few extra years to your life, then take plenty of walks in the woods and buy a few hearty houseplants!